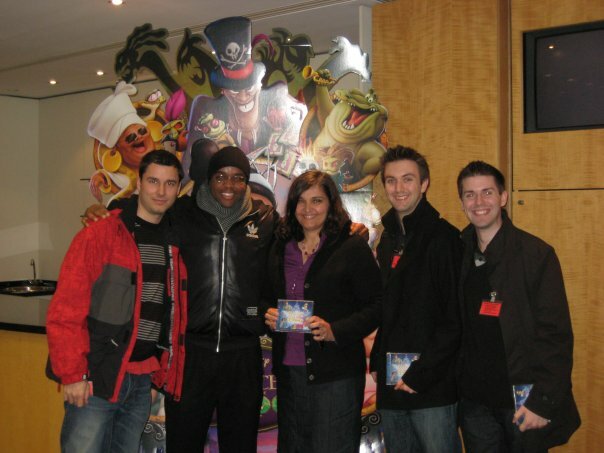 On Tuesday 8th of December I had the pleasure of being invited by one of my favourite animator friends to a special screening of “The Princess and the Frog” at Disney HQ in London along with 4 other fellow animators. Do you remember the days of going to the cinema to see an animation without 3D glasses? Seems like a distant past to me. 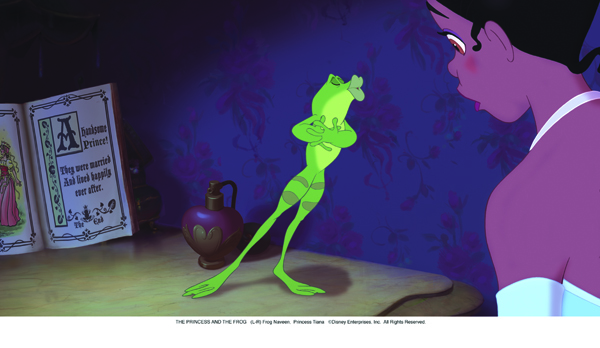 “The Princess and the Frog” sees Disney returning to the glory days of stunningly beautiful 2D animation. No 3D glasses, no objects flying off the screen towards you – just simple, beautiful & entertaining 2D animation. Well I say simple, but producing such lovely quality 2D animation is not quite so simple! Disney is once again showing the world who are the masters, and who gave us all the 12 principles of animation. Lovely squash and stretch and flowing movements, and many whacky & slightly bizarre 2D musical numbers. Animators are also likely to spot some animation very reminiscent of scenes from past Disney masterpieces like Jungle Book and Cinderella. The action takes place in the French Quarter of New Orleans circa 1930s complete with plenty of fun jazz music and an evil voodoo magician. Dr Facilier and his partners in crime, are bound to give the little ones nightmares, but what’s a Disney film without a good badie? Having said that, I found him rather too creepy to look at myself. The first five minutes of the film had me laughing at the wonderfully funny cat and other characters, but also wondering if the target audience was only children. Why is it that many of us now associate 3D animation with films for grownups too, but 2D only for children? But soon enough things changed to include more for the grownups which was just as well, because who wants to take their children to a film and not be entertained themselves? Although the design and art work was a pleasure to watch, I wasn’t overly fond of the styling of the female frog. The male frog was nice and frog like, but I felt they tried to make the female frog have a slight girlie figure, which spoiled her a bit to me. Let her just be a frog folks! Still, that did not spoil the Disney fun for me. The vocal talent is great, and the Disney animators have done a fantastic job of making the characters entertaining and lovable. As a 3D animator, I couldn’t help but compare differences between 2D and 3D animation. Every now and then I noticed how still a background character or set was kept in 2D compared to 3D. It’s interesting how large parts of the drawings can be kept completely still in 2D and remain totally alive. Things would go dead instantly if kept that still in 3D. Animators are the only ones likely to notice any stillness anywhere however, and only then if deliberately looking. The film is an action packed, fast moving visual feast with plenty of toe tapping musical numbers. The characters and storyline are engaging and fun and all without 3D glasses in sight! So welcome back Disney! Animators are bound to appreciate the return to beautiful tradition animation. Average film goers will hopefully be once again reminded that a well executed & beautifully produced story does not need gimmicks and gadgets to make an enjoyable entertainment experience. 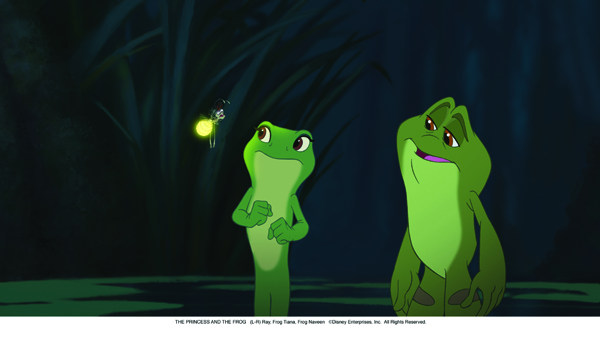 I wish Disney well with The Princess and the Frog, and look forward to once again seeing additional successful 2D animations.